Kelly Cyd Gibbs (50) returned to her loving Father in Heaven and Savior Jesus Christ Friday, September 29, 2017, after a valiant struggle with cancer. As an active and faithful member of The Church of Jesus Christ of Latter-day Saints, Kelly found comfort and peace because of her faith in the Savior’s Atonement and His eternal plan for her and her family. Kelly was born August 26, 1967, to George Heber and Elaine (Goddard) Gibbs in Fullerton, California. As the baby of our family this little blond, blue-eyed child immediately stole the spotlight and the hearts of her parents. Kelly and her family moved to Tempe, Arizona, where she received her education. Kelly was a bright, intelligent and outgoing young woman. 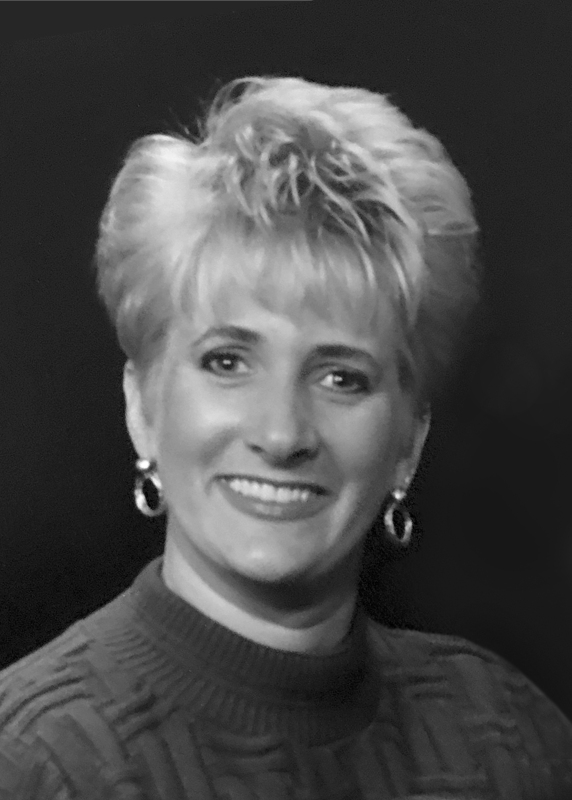 She graduated from Marcos de Niza High School the spring of 1985. She was an honor student, cheerleader and involved in student government and anything else that was challenging and fun. She valued education and looked forward to continuing her schooling at Arizona State University. Her life took an unexpected turn August 2, 1985, that resulted in a lifetime of challenges and struggles. Kelly was riding her bike to ASU to register for fall classes when she was hit by a car. Kelly sustained a traumatic brain injury that dramatically changed her life. After her accident she valiantly worked and regained her ability to walk, talk, and returned to Mesa Community College to continue her education. Kelly’s desire to be a wife and mother was realized when she married Greg Hekking, and they were blessed with two sons, Seth Andrew and Zane Daniel. Her sons were and would always be foremost in her life. She loved them dearly and found joy in being their mother. July 2015, Kelly was diagnosed with ovarian cancer. She was courageous and often commented, “I am so blessed.” She embraced her life and accepted her limitations. We find comfort in knowing that the release from this life affords her the opportunity of reaching her full potential in the eternities. Kelly is survived by her sons, Seth and Zane Hekking of Chandler, Arizona; Siblings: Michele (Davis) Knight, American Fork, Utah; Randy (Paula) Gibbs, of Irvine, California; Zana (Tom) Cox of Chandler, Arizona, and an extended family of nieces and nephews. Kelly was preceded in death by her parents. In lieu of flowers, donations to the American Cancer Society or the Arizona Humane Society are suggested. A Public viewing will be held Friday, October 6, 2017, from 6-8 PM at Bunker’s Garden Chapel. To the Gibbs Family; I am so sorry to hear about Kelly. We went to High School together and we were in Cheer. Kelly was always such a joy to be around and I still see her smile – so beautiful and such a fighter, with everything that she had been through. My thoughts and prayers are with Kelly and the Gibbs family. I am so sorry to hear about Kelly’s death. While I never knew her, I can tell by her lovely obituary that she was a terrific daughter, mother, sister, and woman. My family and I send our true condolences. We knew her very well! We stood in awe as we watched her stay strong and active before and after he cancer diagnosis. We have been blessed by her example of strength and faith in the face on adversity! Our prays are for all the family that they may see the goodness of knowing her. My friend, Kelly Gibbs, was a warrior. Always a sweet positive attitude. She was a unique human & a loyal friend. I will miss her. My friend, Kelly Gibbs, was a warrior. Amazing attitude. Sweet & positive through all of her challenges. She was a unique human, a loyal friend. I will miss her. Anytime I saw Kelly she always made me feel like there wasn’t anyone else she was hoping to see or spend time with, she had a heart full of love for all. She was always concerned for the welfare of those she loved. Just a few short weeks before her passing I was privileged to run into her at the Temple and feel of her testimony of the Savior. She accepted her illness with humility and grace. She knew that despite what she was facing that her Heavenly Father and her Savior Jesus Christ loved her, and she also knew that it was through Their love that she was given the strength and courage to face each day. She adored her two sons, Seth and Zane, and was so very proud of them and the fine young men they are. I am sure she will be watching over you and cheering you on from Heaven. I know that her reunion with both of her parents was glorious, she loved them dearly and they too loved her so very much, I can only imagine the joy in that moment. She will be missed, but her courage and positive attitude has been inspirational to me. We will always remember Kelly for the fun-loving, strong-willed, vibrant soul she was which was complimented by her huge heart. She had a gift for making those around her laugh and feel good about themselves. Her sons were the joy in her life as was her love and loyalty to family and friends. What a wonderful celebration as she passed from this life to the next into the arms of her parents who love her so much. Know we are thinking of you with love and tenderness, May Heavenly Father shower blessings of peace and comfort to you at this time of loss. While I haven’t met you personally, I couldn’t help but share my deepest condolences and let you know that you are on the minds of many. My heart is heavy for you in your time of loss. I hope that scriptures like Revelation 21:3,4 & John 5:28,29 prove to be as a great comfort to you as they have to many. As you read those scriptures, just imagine what life will be like- especially imagine a reunion with your dear, Kelly . May you hold close these promises from God. While I haven’t met you personally, I couldn’t help but share my deepest condolences and let you know that you are on the minds of many. My heart is heavy for you in your time of loss. I hope that scriptures like Revelation 21:3,4 & John 5:28,29 prove to be as a great comfort to you as they have to many. As you read those scriptures, just imagine what life will be like- especially imagine a reunion with your dear,Kelly . May you hold close these promises from God.